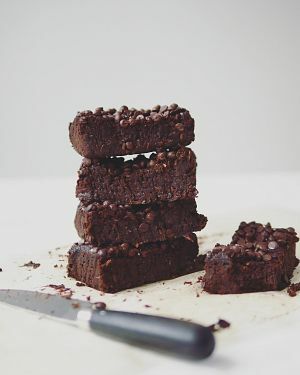 Fraiche Nutrition’s Coconut Black Bean Brownies recipe is my favourite brownie recipe. 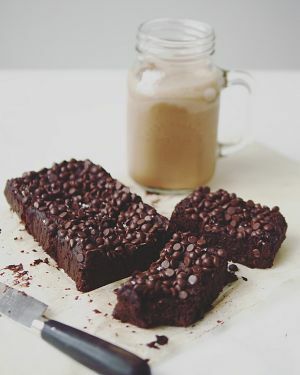 They are beyond moist (containing zero flour), lightly sweetened and ultra-chocolatey. To make them vegan, you can use chia or flax egg instead of egg. I used chia (2 tbsp ground chia + 6 tbsp water = 2 eggs) and added this mixture to the recipe once I’d transferred the batter from the blender to a bowl. Note: I cooked my brownie for much longer than the recipe calls for (50 min). You can also use maple syrup instead of honey. And my mistake of adding the coconut into the batter (instead of using it as a garnish) turned out well! My last modification was reducing the sugar by half. If you have a sweet-teeth, you should stick to the original recipe though. 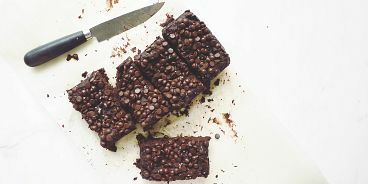 Here’s Tori’s amazing, extremely easy, gluten free Coconut Black Bean Brownie Recipe. You can follow her for more recipe ideas here on Instagram: @fraichenutrition.